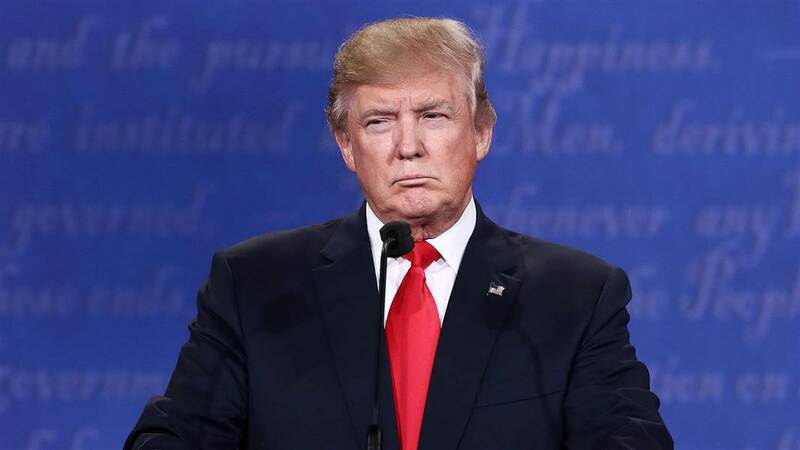 Eric Kleefled, Sam Reisman, and the editors of the National Memo write about the horrors of Donald Trump through Pop Culture and characters associated with this entertaining media. In the introduction, Kleefeld first start off with talking about how Donald Trump got his start in his political journey. For instance, Kleefeld says that "Trumpism is a rebellion against social progress, harnessing the resentments of Americans who see the world changing around them and instead wish to go backward." Basically, the authors are trying to say that Trump supporters see things in a backwards light. This is a good point because most Americans, and the world, often wonder how he got where he is in the first place. Trumps candidacy is described as "a horror movie or a very twisted dark comedy." The answer is for the reader to decide. What is this saying about Trump? Then, in Part 1, Kleefeld describes Trump as The Penguin from the classic 1960 Batman TV. This assumption is an opinion, but there are parts in the chapter that show the resemblance. This comparison is saying that Trump can be seen as a comical cartoon character and not an actual president. The chaotic nature of The Penguin is also compared to Donald Trump. In one scene in the movie, The Penguin talks to Robin and says, "Can I help it if I have enthusiastic fans? Besides, now the voters won't be bored to death by Batman's babble!" "Batman's babble" can be compared to Hillary Clinton, and the dialogue used by The Penguin is similar to Trump. 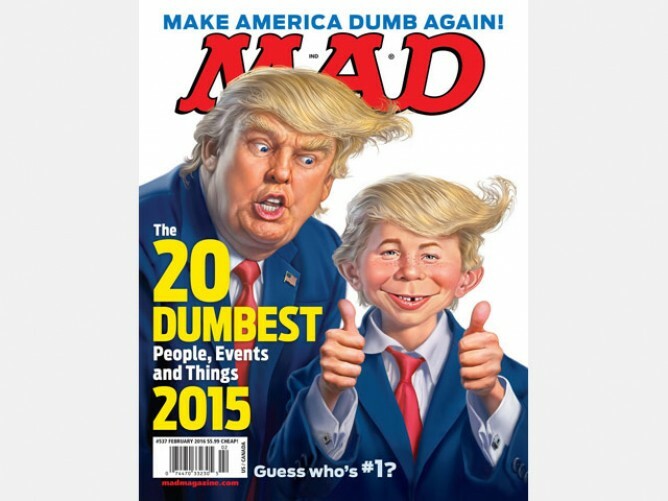 Also, the comical magazine MAD Magazine also takes a stab at Trump with the cartoon portrayals of him. He was in the magazine as in "The Top 20 Dumbest People, Events and Things." He was also protrayed as a character like the nursery rhyme "Humpty Dumpty." 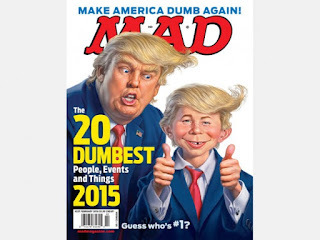 In fact, he was called "Trumpty Dumpty" by MAD Magazine. The nursery rhyme starts out with "Trumpty Dumpty wanted a wall......," alluding to his desire to build a wall to separate the US. These type of headlines and jokes might make you wonder how he even became a presidential candidate in the first place. Like the Penguin, Trump can also be compared to Lex Luther, Superman's villain. Part 3 begins the discussion with the riches of Lex Luthor. Lex has a building called LexCorps, which could be compared to Trump's TrumpTowers. This comparison is entertaining to say the least because it allows us to see Trump as another comic book character. The rest of the book puts other characters and books into the perspective of Donald Trump. 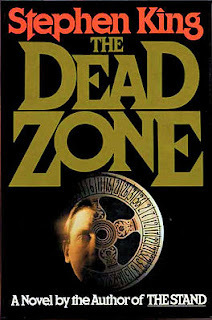 Part 4 talks about Stepehen King's The Dead Zone, where Gregory Ammas Stillson, the antagonist of the novel is compared to Donald Trump because of his actions. This character aims to bring about WWIII, so this can be compared to Trump, for sure. This e-book gives an entertaining comparison of Trump with other characters, mainly villains. This book isn't meant to be taken to heart, but it can provide a laugh during this hard presidential debate.